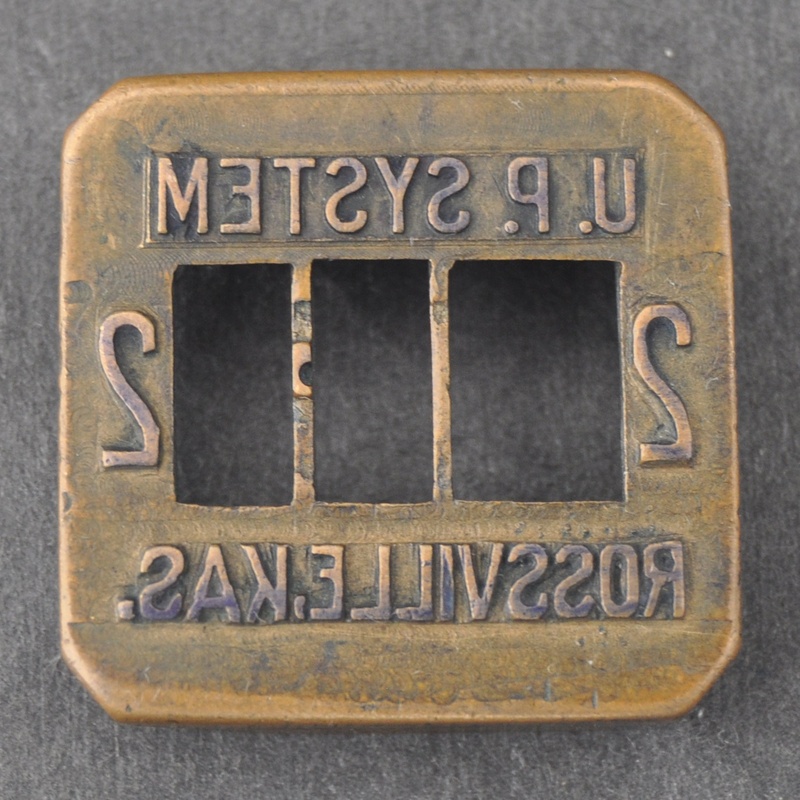 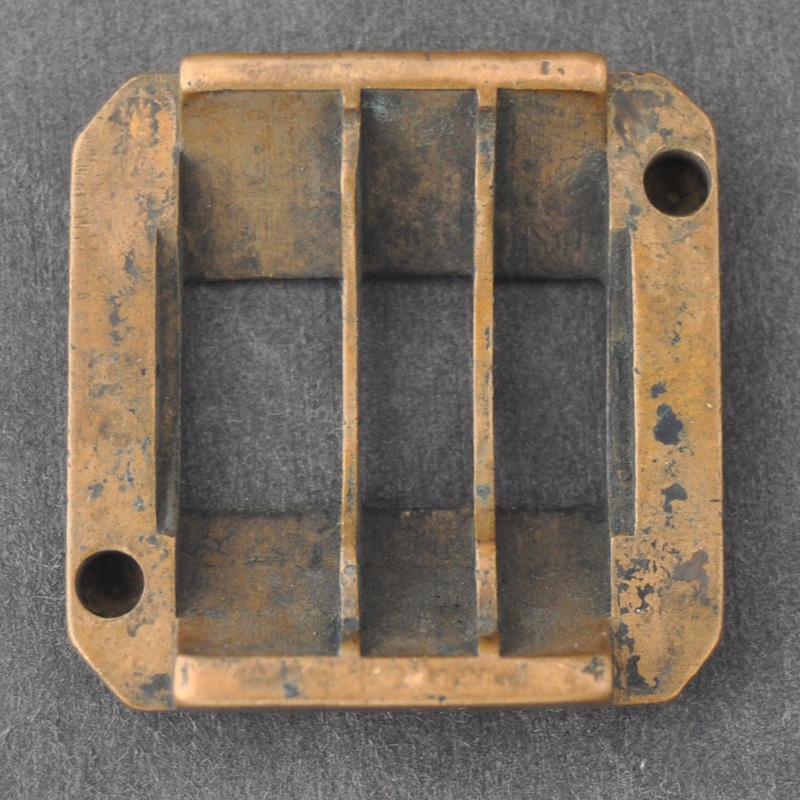 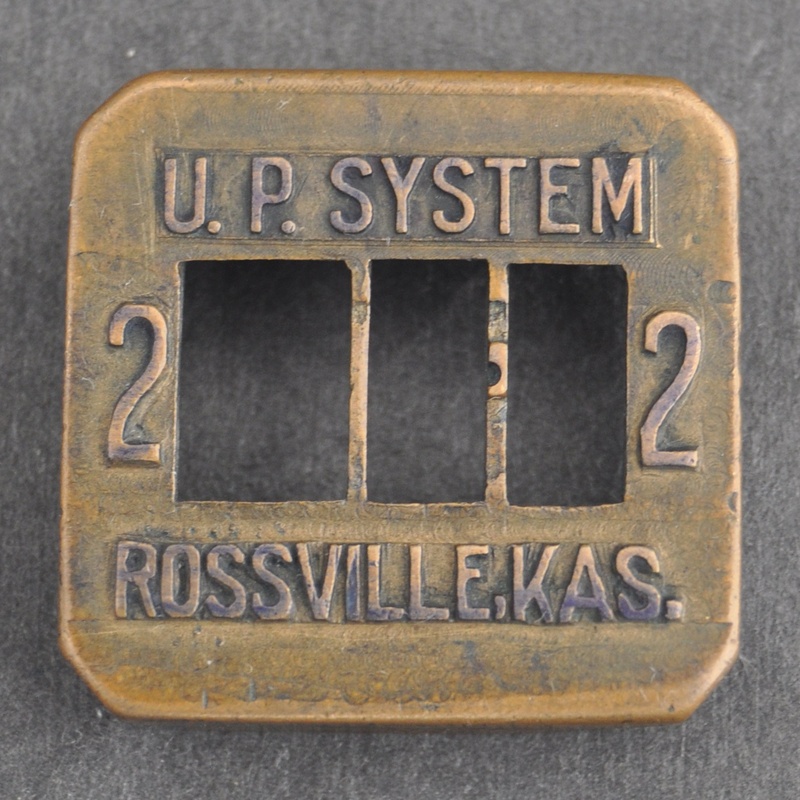 Description Union Pacific (UP) Railroad Cosmo Brass Ticket Dater/Date Stamp Die for Cosmo Validator. 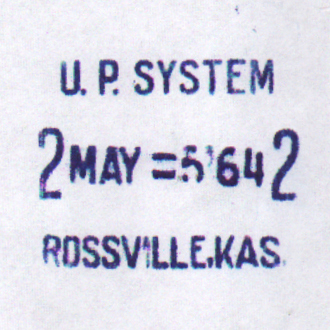 Marked U. P. System. 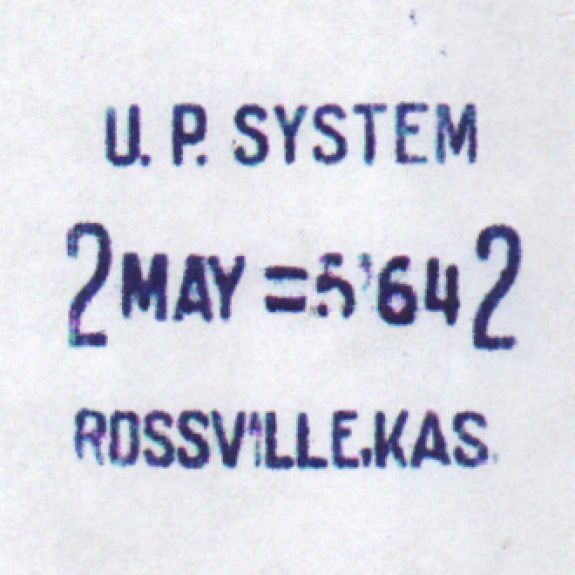 Used to validate railroad tickets at Rossville, Kansas (KS) train station.